Renew your image inside and out! when you subscribe to our e-newsletter! Established for more than 40 years, we have dedicated our experience to the fine art of hair styling. Our goal is to provide clients with exceptional products and outstanding service. At Renewed Image you’ll find highly skilled hair care specialists and a welcoming environment for cancer patients and others with medical issues needing a Cranial Prosthesis – a wonderful combination of expertise and compassion. We carry an extensive line of custom-made wigs in the latest styles and our goal is to offer hope, inspiration and a better understanding of how to purchase a wig of your choice. 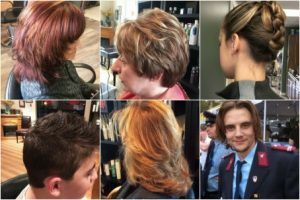 Renewed Image is a salon for men and women that offers much more than a great hair style. 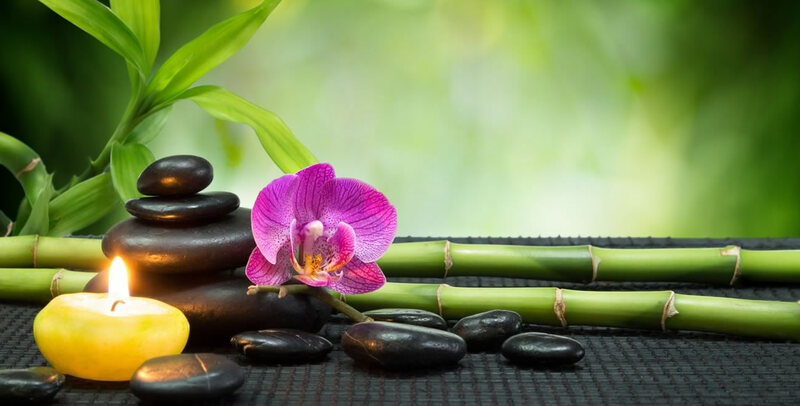 In our Wellness Center, we are committed to helping you feel better too! At RENEWED IMAGE we use organic hair products to give you richer, fuller hair. It has always been our practice to utilize the world’s first and only color and lightening system made with organic plant enzymes. Our wellness center provides unparalleled health support through our state of the art Electro Magnetic Pulse Machine. 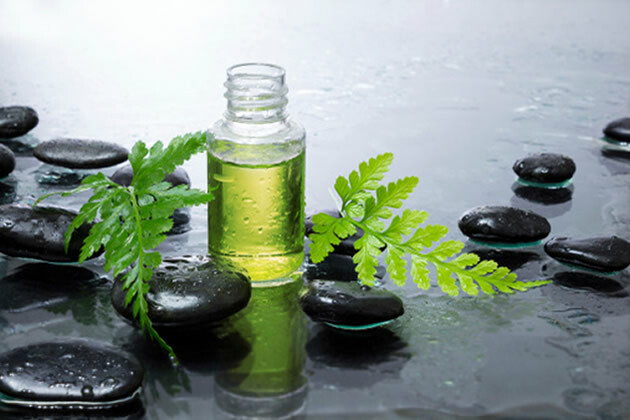 We also offer Bio Energetic Testing with Bear Walker as well as Naturopathic Medicines, including Homeopathy, Herbal Medicine and Clinical Nutrition. Our Master stylist Dan Biro takes great care in providing the ideal cranial prosthesis, hair replacement or wig to suit your specific needs. 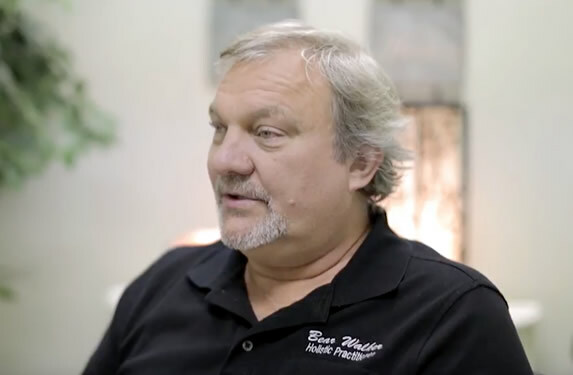 At Renewed Image we take great pride in reaching out to those patients with cancer as well as other debilitating illnesses who are in need of hair replacement..
Bear Walker has over 25 years of experience specializing in using the BioTracker. This electrodermal computer technology evaluates the electrical output of 30 different systems in your body, giving a wealth of information on whether those systems are working efficiently or inefficiently. An equivalent amount of data would require hours of testing and many blood tests to acquire without the BioTracker. Learn more on how Bear Walker can help get your health back on track. As soon as I walked into the salon I was greeted by Patty and she gave me a hug !! I knew I was in the right place. I was diagnosed with breast cancer and wanted to be proactive in getting a cranial prosthesis prior to chemotherapy. I then met with Danny, he made a very difficult and emotional time in my life a whole lot easier. He understood what my needs were and took his time with me. At the end of my appointment I ordered a beautiful prosthesis. When the prosthesis was ready I went back and Danny put the prosthesis on my head and cut into it like Edward Scissorhands . The final outcome is I now have a prosthesis that looks just like my previous hair style and I feel and look just like I did before losing my hair to chemotherapy. I can't say enough about these people. I wholeheartedly recommend La Spina Renewed Image Salon !! This is a 5 star place for me! With a diagnosis of cancer, hair loss, and being unsure about how to cope with my hair situation, I found LaSpina Salon after looking at other places. There, I found compassion, professionalism, and great advice when I needed it...without any pressure. When I got my prosthesis, my confidence returned and was further encouraged by all the compliments I received. Many people have commented on how fast my hair has grown back and how great it looks. Friends who know that it is a prosthesis have asked for information to pass on to other cancer patients and I am aware that another patient received the same help and outcome I did. Danny is an artist in his profession and shows great compassion. He is also generous with his time. The rest of the staff is also very helpful and caring. Thanks for all your help, LaSpina Salon! Mr. Dan Biro of LaSpina Salon in Mahopac, New York, is a consummate professional. His skill in working with clients who need hair replacement reflects his great compassion. He has the ability to respond to the individuality of each customer, creating an "at ease" environment for those who need help during a difficult and highly personal time. Those individuals or institutions that have his help will be fortunate. I am deeply grateful for his kindness and his skill in working with my hair replacement needs. I have had a wonderful experience at LaSpina after being diagnosed with cancer 6 months ago. The diagnosis is tough enough to manage but total hair loss can be devastating. I remember the first time I went to LaSpina and met Danny, a kind and compassionate hair expert who explained everything I needed to know about getting a wig and caring for it. Losing your hair within a few days can be a very upsetting and disturbing experience. Danny told me to contact him as soon as I was ready to have my head shaved. He explained that it was better to shave it off all at once when it starts coming out in clumps and how right he was! He shaved my head in such a delicate and respectful manner and then washed my scalp with shampoo that smelled of mint. It felt great and the shaving off of my hair wasn't as traumatic as I feared it would be. He then put on the wig that we had ordered after spending hours cutting and dying it to look like my own hair. My wig was so beautiful that people had no idea I was even wearing a wig. Of course I knew, and felt very self conscious at first but over time I get so many compliments about my hair that I no longer worried that people would know I was wearing a wig. At first the wig feels very strange and can be itchy at times since the scalp is very sensitive. I did wear a wig liner for a short time and then got used to wearing the wig without it within about 2 weeks. Everything Danny taught me was always right on the money. If I had any issues with the wig, all I had to do was call him and he would get me into the shop right away to take care of it. I could not ask for a more professional and compassionate person during this time and it became one less thing I had to worry about while going through chemotherapy. With Danny's education, I became proficient at caring for and washing my wig at home. I personally do not like wearing a wig at all and when I am home I always wear a turban for comfort. However, I wear my beautiful wig out in public and I feel GOOD about myself which is essential when you are going through cancer treatment. I highly recommend going to the "Look Good Feel Better" program sponsored by the American Cancer Society. Eyebrows and eyelashes sometimes come out too with chemotherapy, but with the right make-up tricks nobody will even notice, especially when you are wearing a wig cut and styled by Danny! I highly recommend LaSpina to anyone who needs a wig for any reason, especially if you are going through cancer treatment. The knowledge, professionalism and customer service demonstrated by this business is top notch! I am incredibly grateful to LaSpina and the staff for providing such an amazing wig and for all the support they gave me as I suddenly had to learn how to manage a wig for the first time in my life. With a diagnosis of CA, hair loss, and not unsure about how to cope with my hair situation, I found Renewed Image. Here I found compassion, professionalism and great advice when I needed it, without any pressure. Danny is an artist. Getting through the diagnosis and chemo treatment phase were difficult and trying, but then having to face the loss of my hair was like losing the last hold on who I was. When I saw your ad in the Putnam Magazine and called to schedule an appointment, both you and your staff were wonderful and totally considerate of my sensitive situtation and I immediatley felt like I was among close friends and family. You spent numerous sessions with me in helping to select the cranial prosthesis that would work best for my lifestyle....The Follea System. I have now been wearing the system for 4 months and aside from family members and several friends that are aware of my condition, the compliments I have been receiving from people is amazing......no one, not even a patient at the office where I work who is a hairdresser, could tell! All I can say is thank you for your compassion and understanding during this difficult time in my life.